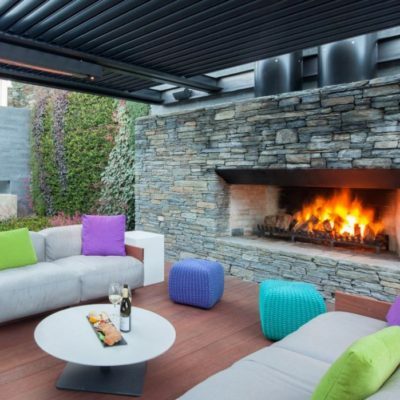 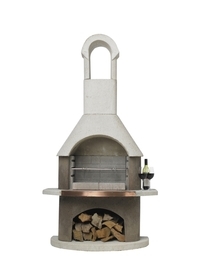 The Buschbeck St Moritz fireplace and BBQ is a mix of elegance and functionality. 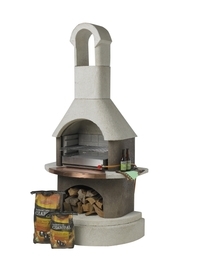 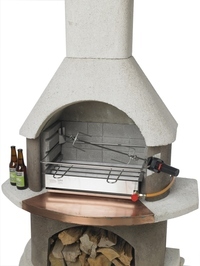 This beautiful masonry bbq fireplace has a two tone appearance – the white quartz granite structure contrasts with brown combustion chamber and fuel storage area. 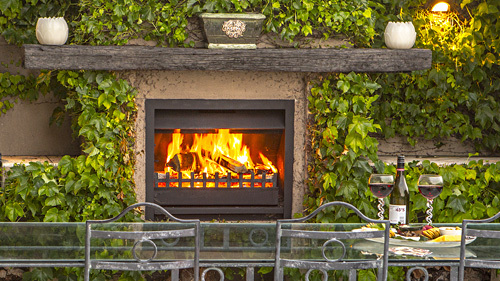 There is a copper insert on the front of the mantelpiece. 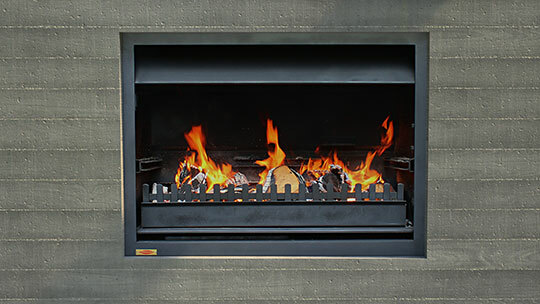 As with most models of Buschbeck fireplaces, you can burn several different types of fuel – charcoal, logs or firewood.